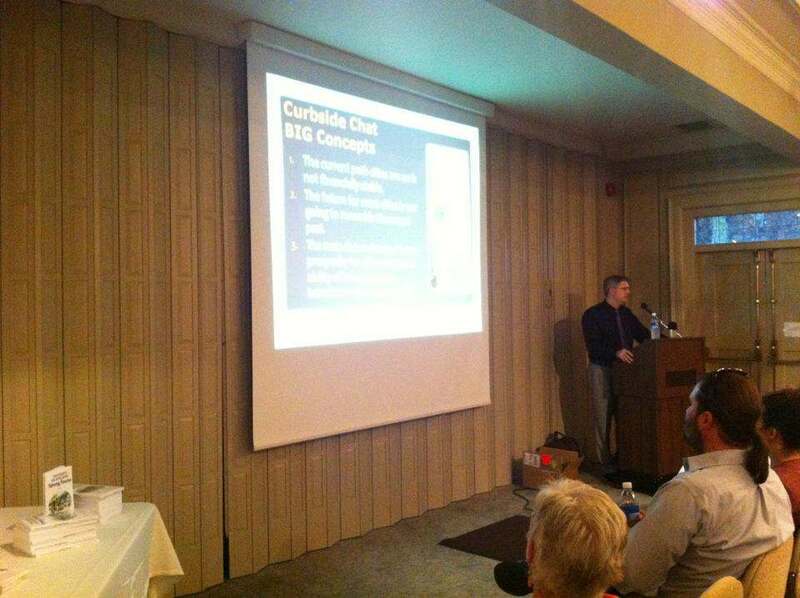 Last night we had our first International Curbside Chat, this time in Windsor, Ontario. It followed a day where I got a fantastic tour of Windsor and the surrounding area, getting to know the place a little before I got to meet the people. I'm very fortunate to be having the experience of seeing the details of so many places, but I'm even more fortunate to have the opportunity to meet so many great people. And I found that I have an affinity for Windsor, which is right across the border from Detroit. Like Detroit, they are a long way down slope of decline. But also like Detroit, the people that remain want desperately to see the place succeed, are passionate about it and are going to work hard to make it happen. Very inspiring. I'm so glad I had the opportunity to be here. The Curbside Chat in Windsor, Ontario. October 2, 2012. More than 100 people showed up for this community event. Lots of good questions, comments and feedback.